The Journal of Coptic Studies will accept articles concerning Coptic language, literature, history, art, archeology, and related subjects, before the modern period. It aims to publish investigations that contribute to the enlargement of knowledge or the advancement of scholarly interpretation. The Journal of Coptic Studies is abstracted and indexed in ATLA Religion Database; Bibliographie linguistique / Linguistic Bibliography; Scopus; CrossRef; ERIH PLUS (European Reference Index for the Humanities and Social Sciences). 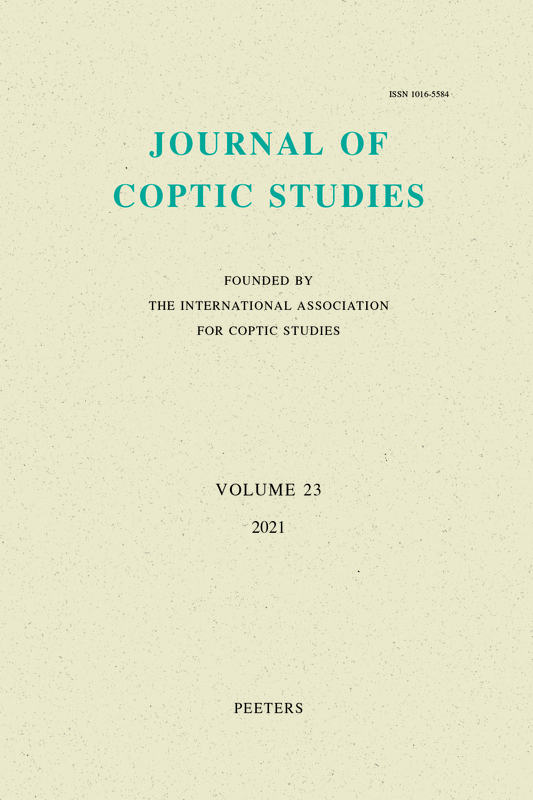 Journal of Coptic Studies is a peer-reviewed journal.